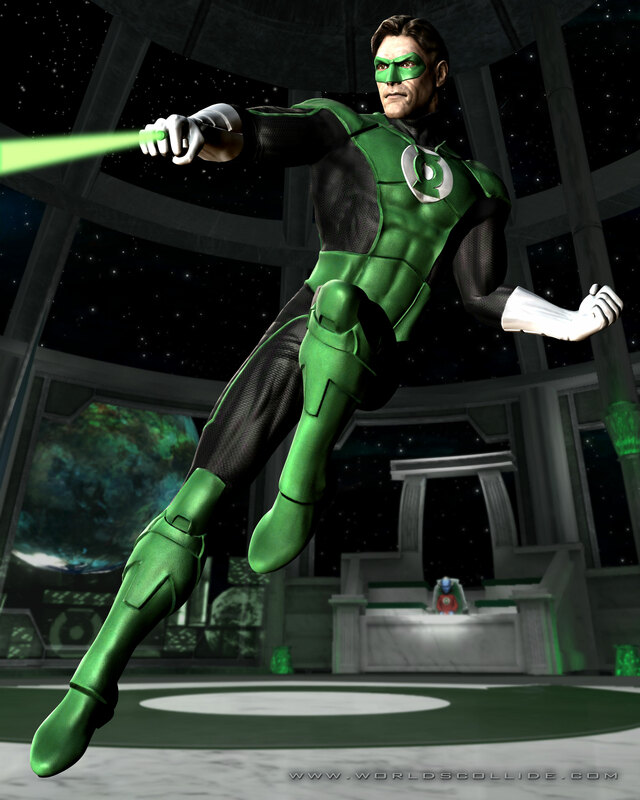 Midway has released a new high-resolution render of Green Lantern from the upcoming Mortal Kombat vs. DC Universe. OH WWWWOOOOWWWWWW................. that is badazzzz. I love Green Lantern! He looks so awesome. The more pics I see, the more a piece of me dies waiting for this game. I love the way he looks. GL is uber powerful and he has looks to match the part now. Can't wait for the full size render. I love the look of the suit and Im glad they chose Hal. Initially I was like "WTF did they do to his costume?!?" But when I started looking at it more and more I started to like it more and more. It's fresh and cool and fits in nicely with the apparent style of the game. 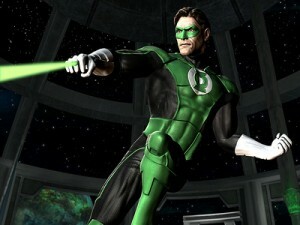 HAL JORDAN, FTW!!! Hal looks old. He looks like an actor whose name I can't quite put my finger on. Oh well. At least we get HAL JORDAN!!! Out of the ones from DC, GL seems to fit the MK costumes the most. Don't know why. Maybe it feels a little ninja-ish? Definitely right on there. All the other DC characters have the cartoonish/comic book look (which isnt necessarily a bad thing), just because of their genetic costumes. GL looks good.